Barred for hate speech: Yogi Adityanath. 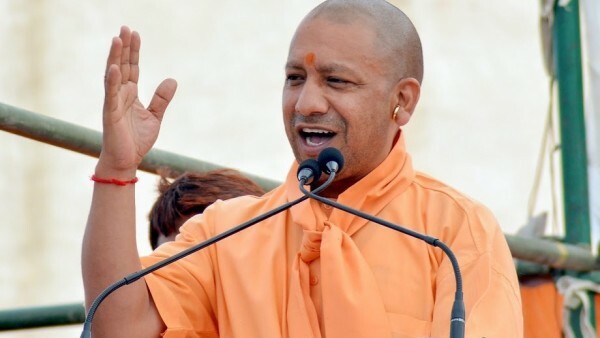 Uttar Pradesh Chief Minister Yogi Adityanath has been barred from campaigning for the next three days for his communal comments by the Election Commission, which recently faced opposition allegations that it is soft on leaders of the ruling party violating the Model Code of Conduct. The commission also took action against Mayawati, barring her from campaigning for 48 hours for her provocative speech in Deoband. In 2014, the Commission took action against BJP chief Amit Shah and Samajwadi Party's Azam Khan for hate speech. Its action this time came on a day the Supreme Court pulled it up for failing to take action in cases of Model Code violation and questioning if it was even aware of its powers to force errant political leaders to fall in line. Within a couple of hours, the poll body -- which earlier issued notices to Yogi Adiyanath and Mayawati -- ordered a ban, invoking special powers under Article 324 of the Constitution. The Supreme Court had on Monday told the Election Commission to respond immediately to hate speeches after the poll panel said it was “toothless” and “powerless” when the model code of conduct was violated. The counsel replied that it does not have the power to de-recognise or disqualify the offending person. And if the candidate continues to violate the Model Code of Conduct, then the poll body can file a complaint. Senior advocate Sanjay Hegde, appearing for the petitioner, contended that the Election Commission already had vast power under Article 324 of the Constitution. The Supreme Court also observed that the “chowkidar chor hai” comment made by Rahul Gandhi in the context of Rafale fighter jet issue had been “incorrectly attributed” to it and demanded an explanation from the Congress President by April 22. “We further observe that no views, observations or findings should be attributed to the Court in a political address to the media and in public speeches, unless such views, observations or findings are recorded by the Court,” the court said in its order uploaded on its website in the evening. After Gandhi’s comments, Defence Minister Nirmala Sitharaman had attacked him and said he was on the “verge” of contempt of court by claiming that the top court had said, “chowkidar chor hai”. Welcoming the Election Commission’s (EC) curbs on BSP chief Mayawati and Uttar Pradesh Chief Minister Yogi Adityanath’s campaigning, the Congress asked if the poll panel would now act against Prime Minister Narendra Modi. “The EC has pushed the pause button on hate speech campaigners! Vindicates our stand that hate campaigners like Adityanath should be barred from campaigning. Acting on our complaint, the EC shut the mouths of those spreading hatred,” Congress spokesperson Randeep Singh Surjewala said in a tweet. “Will the EC act against Modiji, now?” he asked. The BJP meanwhile asked the Election Commission (EC) to take “serious cognisance” of Rahul Gandhi’s “chowkidar chor hai” statement after the Supreme Court demanded an explanation from the Congress President for wrongly attributing the said comment in the context of Rafale fighter jets issue to the apex court.